The Missouri State Fair dates back to 1901, when the tradition was putting your best against your neighbor’s best, the battle of who has the best farm and deserves bragging rights. 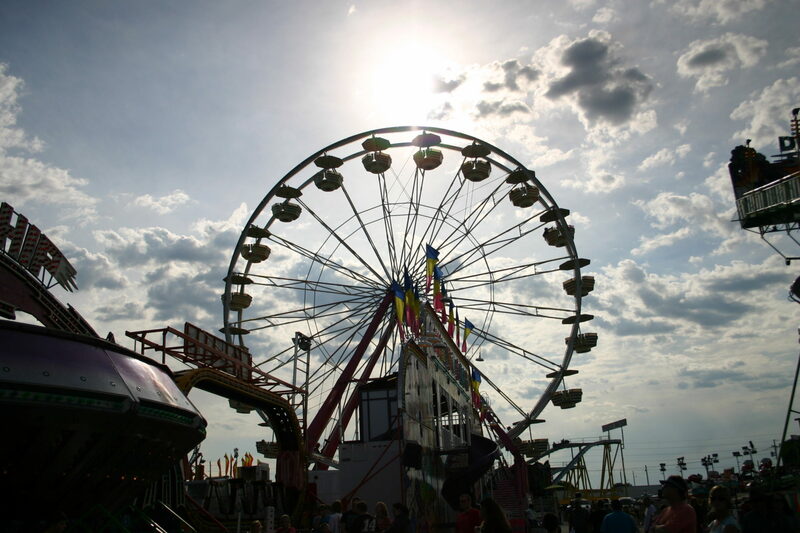 To this day, the Missouri State Fair is based around agriculture and Missouri’s rich farmland; you can see anything from the best of Missouri livestock to the latest and fanciest farm equipment. While the Missouri State Fair may be all about farming, do not doubt for a minute that the fair is not loaded with fun for everyone. 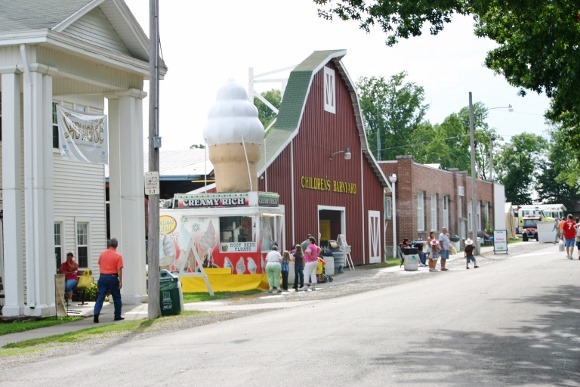 The fair is filled with Missouri History, Missouri Facts, Missouri Food, and Missouri Fun. Where to stay for the Missouri State Fair? View Sedalia hotel options! A few years back, I journeyed with my young children (then 3 and 7) to the fair and to this day, they still giggle about all the fun we had. At the top of their list is the view from the summit of the Ferris wheel- they swear they have never been that high in their life! It is truly the best view at the fair. What I found the I loved most about the fair was everything that was free. Every year the fair has a whole line of free entertainment for all different ages. In the Kids Zone you will find Weld’s Big Bear Expedition giving kids an up-close and personal feel to wild bears, you will also find free games, fun shows, and events that will blow you child’s mind. The Touchstone Energy Stage is full of music, comedy shows, and contest for all ages including a Bluegrass Banjo Contest. You must also check out the Farmers Market, the How-Tos from the experts, and of course the 4H and FFA displays by youth all over the state of Missouri. The one event that I splurged on while at the Missouri State Fair was tickets to MRCA Finals Rodeo. Watching cowboys and cowgirls from all over compete and entertain was well worth the $8 a ticket I spent. Of course, my kids truly loved the clowns and their fancy dance steps. 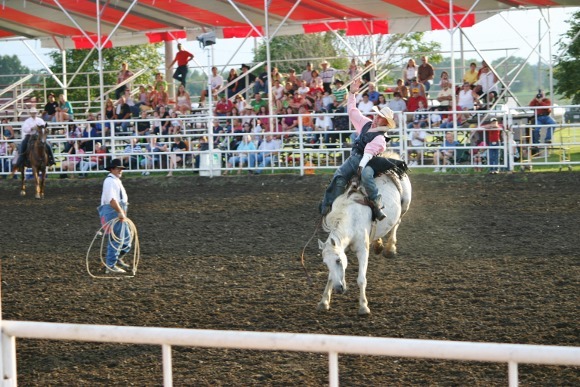 The Missouri State Fair offers a variety of paid entertainment also. This year the Pepsi Grandstand welcomes Gary Allan, Chubby Checker, Lee Brice and not to mention the Truck and Tractor Pulls which also a hit with the little guys. 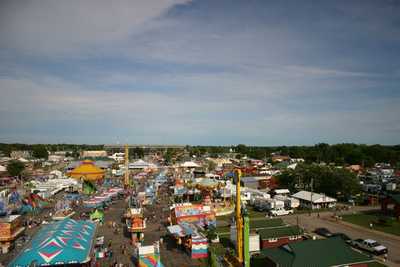 The Missouri State Fair runs August 8 – 18 in Sedalia, Missouri. Visit their website for more information on daily events, price to enter, and new fair announcements.